SKU: BP443. Category: Big Patches. BIG EMBROIDERY IRON ON PATCHES 10 pcs. 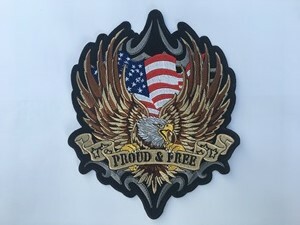 LIVE FREE RIDE FREE BIG EMBROIDERY IRON ON PATCHES 10 pcs. BIG SKULL EMBROIDERY IRON ON PATCHES 10 pcs.